As with many early stage companies, Zirtual strived to build a scalable sales and marketing program. They had an early understanding of their ideal buyer personas and their lean team had built a tremendously aesthetic brand. Despite this, Zirtual relied mainly on referrals to drive new business. 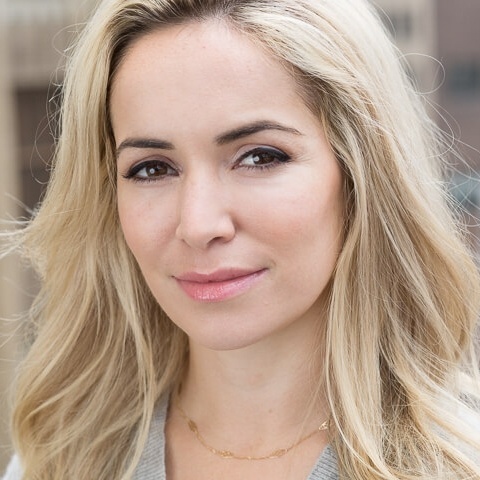 Zirtual was ready to create a scalable lead generation engine, an exceptional buyer journey, and build out their systems to track, test, analyze, and report on sales and marketing efforts. FullFunnel, commissioned by Zirtual, started with a CRM implementation project and expanded into the development and execution of a comprehensive marketing and sales program. Implementing a CRM was only half the battle - without a marketing platform that works in tandem with the CRM and supplies a steady flow of leads a CRM simply becomes an expensive contact management tool for sales reps.
Zirtual and FullFunnel explored Salesforce.com as a potential CRM; however, Salesforce’s per seat licenses would quickly become cost prohibitive for the early stage company. Plus, Zirtual would still need a marketing platform if they wanted to scale their marketing efforts. FullFunnel and Zirtual decided to implement HubSpot and the relatively new HubSpot CRM. This ensured that we were building the infrastructure necessary for a robust marketing program, while also arming the sales team with a CRM that was built for the rep, not the manager. We knew that HubSpot would bring the horsepower needed to drive both the sales and marketing engine. Implementing HubSpot made it easy to create and test landing pages, emails, and call-to-action buttons - tasks that once required the development team to implement. This eliminated the “waiting time,” while also yielding invaluable data right within the platform. This helped create an ideal buyer journey, which in turn led to increase leads and sales. Evidence of Zirtual's lead generation growth in a very short time frame. After a deep dive into personas, we worked with the Zirtual team to refine the buyer journey on the website based on what we learned about the buyer personas. The changes in the journey made it easier for potential customers to educate themselves on the concept of virtual assistance and Zirtual as a service, while also providing conversion points at various stages of the funnel. HubSpot has also become the engine behind a new comprehensive content marketing program, allowing Zirtual to create and distribute content to their buyer personas at the appropriate stage throughout the journey based on the content map that we created. The new content marketing program has helped increase Top-of-the-Funnel lead volume, while also effectively guiding existing leads through the funnel. Lastly, Zirtual now utilizes HubSpot for it’s onboarding workflows, effectively enrolling new customers in a series of educational and feedback-gathering emails aimed at increasing customer happiness and loyalty. Monthly lead volume increased from literally zero to 600. Monthly new revenue generated grew from $40,000 (November) to over $240,000 (June), and continues to climb. With the CRM and Sidekick combo, sales reps were able to increase prospecting dramatically. A team that once relied on referrals and the costly LinkedIn Sales Navigator tool, is now able to prospect at scale with Sidekick and the CRM. The new prospecting power and the addition of the growing lead generation program has allowed the sales team to create a robust deal pipeline that is driving company growth. Zirtual is in the process of moving its entire website and blog over to the HubSpot COS, and will also be releasing a "Resource Center" hosted on the COS in the near future. The "Resource Center" will be a hub of product knowledge and usage tips for existing clients and will be geared toward turning regular customers into super-users and evangelists. This case study originally appeared on the FullFunnel blog in August 2015. Zirtual is a provider of U.S. based, dedicated virtual assistants. Capitalizing on the sharing economy popularized by companies like Uber and Airbnb, Zirtual uses collaborative consumption to offer a high quality virtual assistance service for the 99%. They are truly revolutionizing task management, and are helping entrepreneurs, professionals, small teams, and busy parents be more productive.